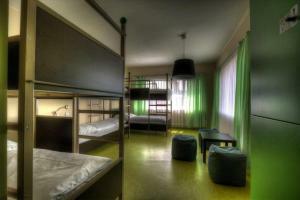 This hostel in Berlin’s trendy Neukölln district offers internet access. Public transportation connects guests to the Brandenburg Gate in just 15 minutes. 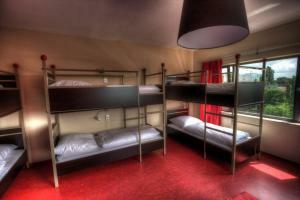 The bright rooms of the 2A Hostel are furnished in a contemporary style. 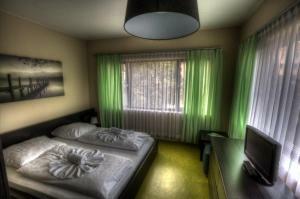 Each room has a bathroom including shower and complimentary toiletries. 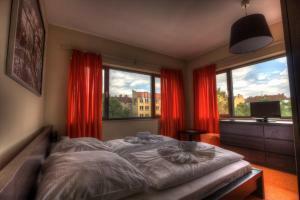 Bed linen is included in all rooms. Adapter, hairdryer, iron and ironing board are available at the reception. Guests can book a breakfast at the hotel, while drinks and light snacks can be enjoyed at the stylish bar or outside on the terrace. 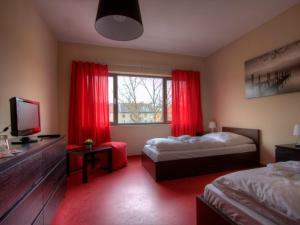 Neukölln Underground Station and S-Bahn Train Station are less than 300 metres from 2A Hostel, connecting guests to Alexanderplatz Square in 10 minutes. Shopping and dining opportunities are a 2-minute walk away. Berlin Central Train Station can be reached via public transport in 30 minutes and the A113 motorway is a 5-minute drive away. 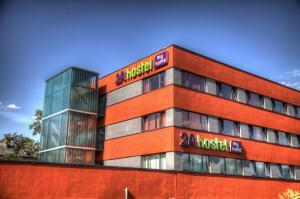 Please note that 2A Hostel requires a credit card pre-authorisation to the value of the first night. This amount will only be charged in the event of a no-show. The payment for the reservation is to be made upon arrival. 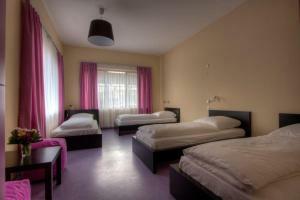 For the dormitory rooms, towels can be rented for € 3. 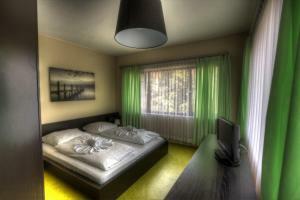 On arrival guests are also charged a key deposit of € 5 in cash. Please note that guests under 18 years cannot be accommodated in a dormitory, only in private rooms with a consent form of their legal guardian. Please inform 2A Hostel in advance of your expected arrival time. You can use the Special Requests box when booking, or contact the property directly with the contact details provided in your confirmation. Guests are required to show a photo identification and credit card upon check-in. Please note that all Special Requests are subject to availability and additional charges may apply. Contemporary-style room with private bathroom and a TV. Towels are included. 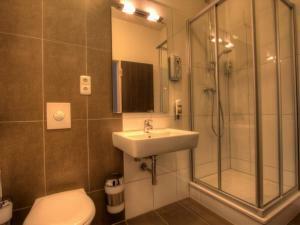 Contemporary-style room with private bathroom. Towels are included. Also comes with a TV. Contemporary-style room with shared bathroom and free private lockers. 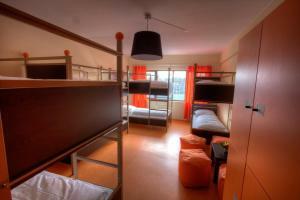 This bed in dormitory has a seating area and a private locker. Contemporary-style room with shared bathroom and private lockers.